Transfer pricing issues are becoming difficult to mange world over. The Organisation for Economic Co-operation and Development (OECD) has been engaged at international level to provide effective policies and documents to deal with transfer pricing in a more effective manner. Although India falls in the category of Non-OECD economies under the present arrangement of OECD yet India voluntarily provides information about transfer pricing issues. India has recently expressed her intentions to scrap the compulsory transfer pricing audit based on monetary threshold limits. The idea of selecting transactions for audit based on their risk of revenue leakage stems from India’s discussions with the OECD, which is working on new transfer-pricing documentation rules and a format for country-by-country reporting of income, taxes and economic activity of Multi National Corporations (MNCs). India has been struggling hard to deal with transfer pricing and taxation issues. Even Vodafone, Nokia and Shell received notices from income tax authorities of India regarding transfer pricing and other taxation issues. 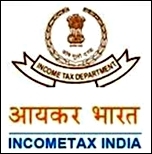 Indian government has also proposed establishment of Income Tax Overseas Units (ITOUs) of India in foreign countries. We at Perry4Law believe that transfer pricing laws and regulations in India need clarification. Similarly, issues like avoidance of tax by certain transactions in securities, avoidance of income-tax by transactions resulting in transfer of income to non residents, international transaction and arm’s length price, etc also required to be taken care of. All this requires a pragmatic and holistic approach on the part of Indian government.